After years of hype and over $US2 billion in capital raised, Florida-based startup Magic Leap launched its first device earlier this year: Magic Leap One. The device costs $US2,300, and consists of a headset, a small wearable computer, and a handheld controller. 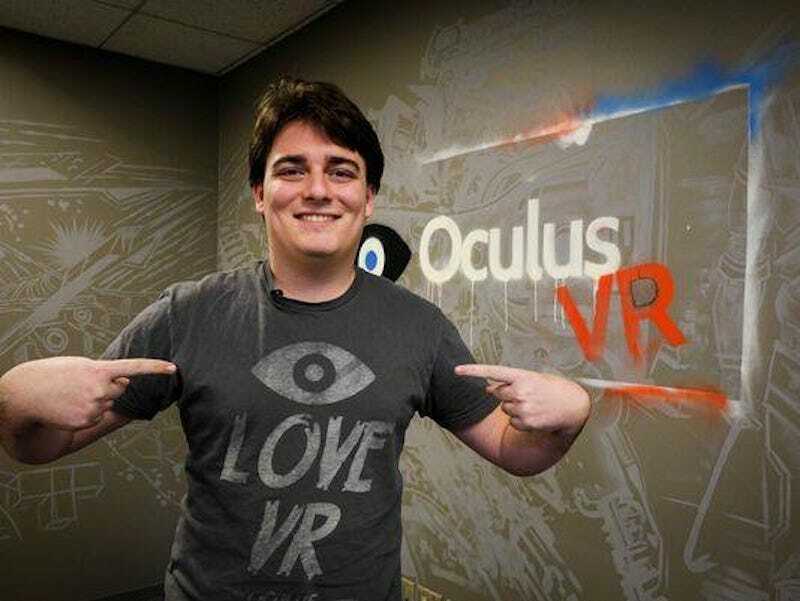 In a searing review published this week, Oculus VR founder and former Facebook executive Palmer Luckey savaged the device. After years of hype, and more than $US2 billion in startup capital, Florida-based startup Magic Leap finally released its long-awaited first product: Magic Leap One. The $US2,300 headset promises to immerse users into a fantastic world of “mixed reality,” where digital and physical objects seamlessly blend together. Early adopters are already putting the device though its paces. But one early adopter’s review, in particular, is getting a lot of attention. Magic LeapThe entire Magic Leap One setup: A small computer (left), the headset (middle), and controller (right). OK, so Luckey obviously has a dog in this fight. As the creator of the Oculus VR headset, Luckey might well have a motivation (conscious or not) in tearing down a product that threatens the Oculus’ position as the pre-eminent headset for the new era of virtual and mixed reality. And it’s worth remembering that early versions of the Oculus headset had many flaws and rough edges, including a propensity to give some people motion sickness. Luckey’s review apparently caused a stir at Magic Leap headquarters, as CEO Rony Abovitz tweeted a series of oblique references to the “Avatar: The Last Airbender” show that seemingly paint Luckey as a “bitter, angry, banished” troublemaker – a reference to his dismissal from Facebook following a political donation controversy, and subsequent exit from the virtual and augmented reality business. Luckey joined Facebook in 2014 after the social networking company acquired Oculus for $US2 billion. Since his unceremonious departure from Facebook in March 2017, Luckey has gone on to found a new company focused on developing military/defence projects. Luckey isn’t the only one with a less-than-positive outlook after using Magic Leap One. When tech publications got an early look at the device earlier this month, many reviews were similarly unflattering. Investors, too, are cooling on the imminent prospects of augmented reality headsets – but, even after $US2.3 billion in capital, Magic Leap is still open to raising more funding.